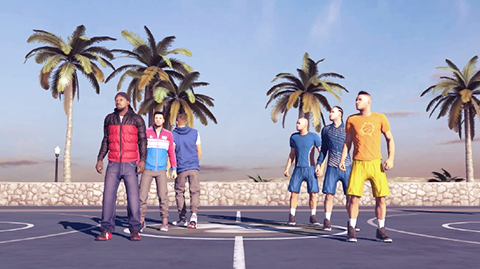 The long-awaited patch for NBA 2K15 has started rolling out on PC, with consoles following later this week. NBA 2K15 has experienced a number of problems since its release, but 2K Sports promised players a number of bug fixes and improvements in its latest update, which reached users on Tuesday. The full patch notes have been posted to the Steam discussion boards, and we’ve added them below. The following only apply to the PC version, but it should give you an idea of what to expect on the Xbox One and PlayStation 4. Controller/Keyboard bindings will now properly function in MyPARK. Addressed an issue where the game would experience frame rate stuttering in certain situations. Fixed an issue where some users were experiencing hangs when attempting to create/join an Online League with a custom roster. The keyboard should now properly detect input game-wide when a controller is also being used simultaneously. Fixed an issue where in-game models would appear green/yellow on certain GPUs. Corrected an issue where black ‘blobs’ would appear in replay on certain system configurations. Added support for users attempting to play with a GeForce 320M GPU. The title update is now live on Steam for the PC version of the game, it’s around 80 MB in size.